Because of the nature of war in the 21st century, you’ll be faced with some high risk situations in Call of Duty 4: Modern Warfare. Prepare to encounter enemies that use surprise tactics and advanced control strategies. Luckily, you and your allies will have an arsenal full of the newest tools. New devices designed to combat the latest technologies are at your service. In Call of Duty 4, you can use infrared goggles, heat detectors or bulletproof vests of the latest generation. Add to this weapons like a long distance rifles, as powerful as a rocket launcher, and you’re ready for war. 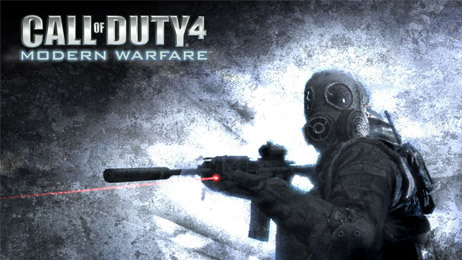 Call of Duty 4: Modern Warfare offers a much more complex experience than previous version, not only because of the new weapons, but also because of some stealth operations that have to be performed in the dead of night; not only do you have to use heavy weaponery, but also silencers that help to conceal you at night. As a result, the missions have changed radically. Many of them are at night, while some require you to catch the enemy by surprise, offering some really amazing situations from the point of playability. In this sense, the different locations in places as diverse as the desert, the North Sea, and many places across the globe play an important role in the game. The game’s creators have themselves said that being in a modern environment has let them fully plunge into detail, displaying some battle situations that can be described as nothing more than real. Of course, the game’s controls are outstanding, and it won’t be a stretch saying that accuracy is impressive. Heightened awareness makes it really easy to destroy enemies, no matter where they’re coming from. Call of Duty 4: Modern Warfare has spectacular graphics. You’ll find very realistic scenarios of war-torn cities, semi-destroyed and on fire, and well as some stunning visual effects, including volumetric smoke from explosions or shooting guns, and very detailed replicas of some of the newest trucks. The sound effects in Call of Duty 4: Modern Warfare are just as realistic. The sound of gunfire is real enough to make you tense up, and the explosions have the ability to shake the room, if you have the proper sound equipment. Call of Duty 4: Modern Warfare is a must-play game. With simply spectacular graphics, sound and, most importantly, gameplay, Infinity Ward has changed the historical period, leaving behind World War II for a completely new expereince.